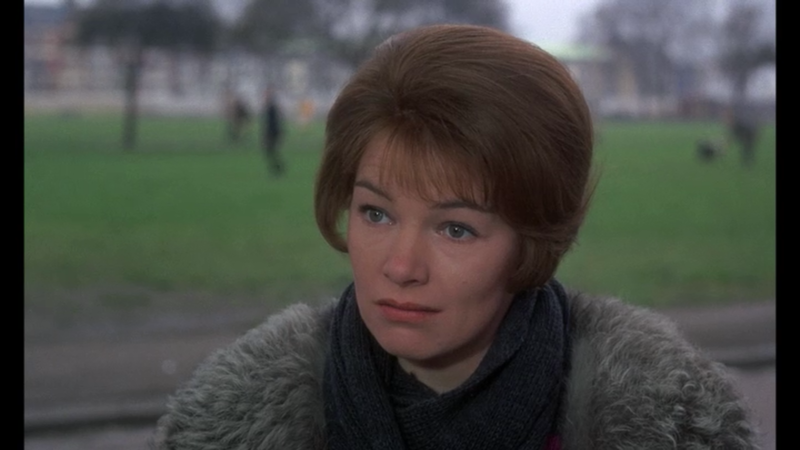 A freespirited artist (Murray Head) remains romantically involved with a lonely divorcee (Glenda Jackson) and a Jewish physician (Peter Finch), both mutual friends of an open-minded married couple (Frank Windsor and Vivian Pickles) with multiple children. 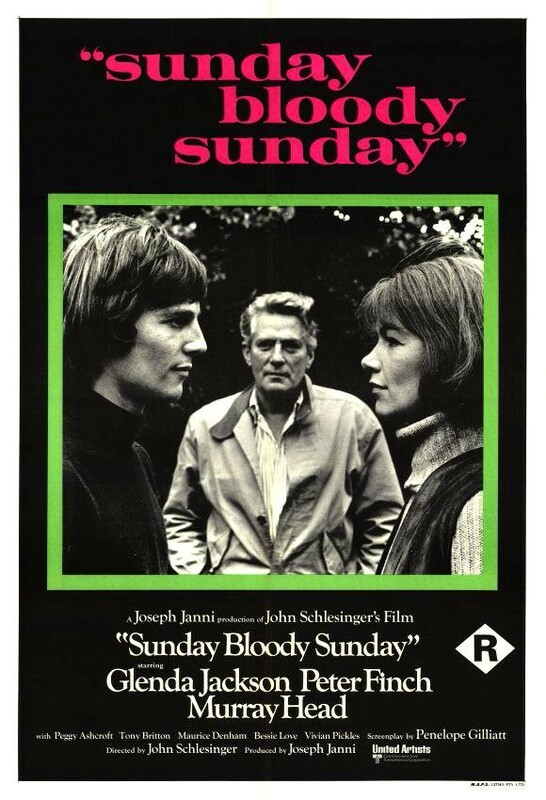 Sunday Bloody Sunday (scripted by film critic Penelope Gilliatt) was director John Schlesinger’s follow-up to his critically acclaimed success with Midnight Cowboy (1969), as well as earlier notable titles, including Billy Liar (1963), Darling (1965), and Far From the Madding Crowd (1967). 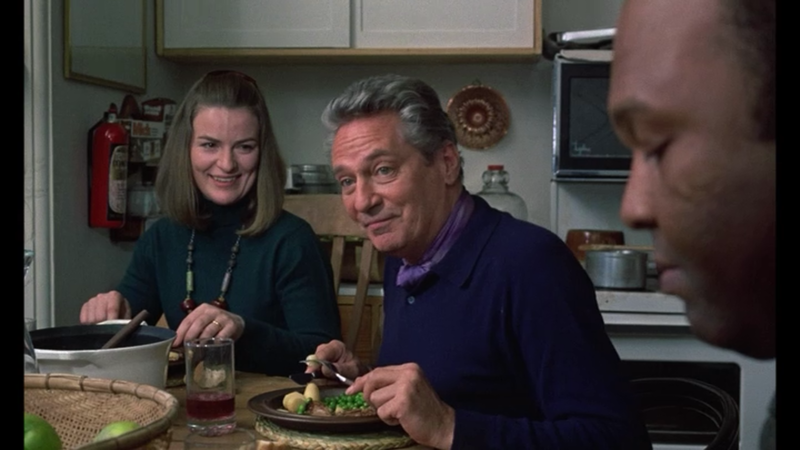 SBS is often cited as his most personal film, given its inclusion of a gay, Jewish male protagonist (Schlesinger himself was gay and Jewish); indeed, it’s Schlesinger and Gilliatt’s sensitive, open-minded treatment of sexuality in general that most distinguishes this unusual love triangle tale, in which both “ends” of the triangle (Finch and Jackson) freely share its “point” (Head) with others, yet struggle with the implications of such a knowing compromise. For Finch — who seems personally at ease with his sexuality, yet hides it from his tradition-bound family — this means being unable to count on Head as a travel partner to a much-dreamed-of trip to Italy; for Jackson, it means (among other things) giving up on the dubious prospect of having children of her own (portrayed as a decidedly hectic lifestyle choice through the anti-bourgeois household run by Windsor and Pickles, whose very young children smoke pot and take on more responsibilities than one might feel comfortable with). Schlesinger situates Finch and Jackson’s sticky romantic scenario within the cultural milieu of early-1970s Britain; to that end, there’s a sense of disconnectedness to some of the contextualizing and/or supporting scenes — I’m still not sure what the significance is, for instance, of a dramatic incident involving a dog and an accident. 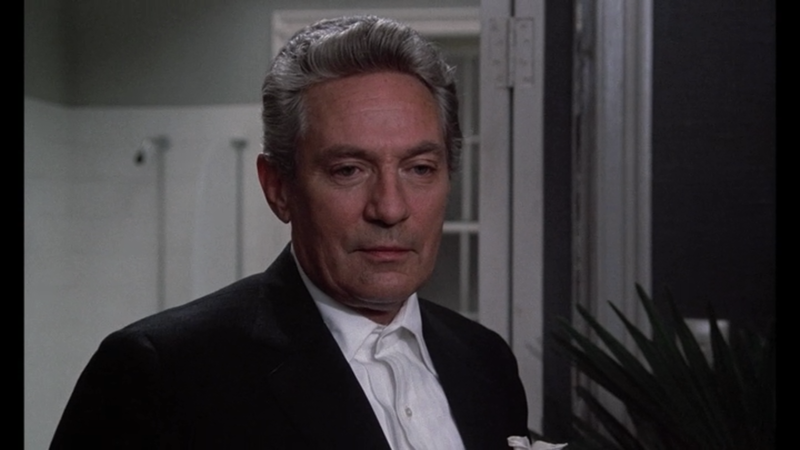 However, it’s the central performers and their romantic dilemmas which really ground the film, as we watch to see how Finch and Jackson will handle their growing realization that the America-bound Head may soon become an even less permanent part of their lives. Indeed, there’s an undeniable sense of sadness and ambiguity to both Finch and Jackson’s plights, giving one pause to reflect on what, exactly, one “should” be looking for in life and in romance. Are Finch and Jackson compromising their chances for a more fulfilling and “stable” relationship with someone else? Or are they smart to accept the limited happiness they have with Head? These are decidedly sticky questions with no easy answers, and Sunday Bloody Sunday respectfully acknowledges that reality. Yes, for its historical relevance as an early film to treat “open” sexual arrangements with candor and respect. A once-must – for its place in gay cinema history, and for Finch’s surprisingly subtle performance. Timing was of high importance when this film was released. Its power has faded somewhat – mainly because, in 1971, the premise was a much-needed one (as alternative relationships of this kind required the light of day on-screen – and even a somewhat superficial treatment was better than nothing). As we edge towards 50 years later (! ), the film is a little harder to be patient with. While it’s still refreshing, in some sense, due to its presentation of bisexuality (still so rare, though that appears to be changing gradually), two of its characters (Head’s and Jackson’s) are now largely frustrating. Based on what they say and how they treat each other, it seems clear that Head’s character wants Jackson’s character around as a kind of…break…from being gay. (It’s also clear that Jackson’s Alex wants more than that.) The bisexuality of Head’s Bob does not appear to be complete – he clearly enjoys Finch’s Daniel more and is able to communicate with him better than he manages with Alex. …Or maybe he desires someone he feels would be easier to deal with than (the needy) Alex. Somewhat exacerbating the issue is the fact that, even as a sympathetic audience, we never know what it is that Bob actually *wants* from either of his lovers. He is essentially an enigma who has underdeveloped communication skills and something of an ego problem. It would certainly be interesting to see a more complex version of this same script – to see if all 3 characters would be able to figure out how to make the situation work – since, as it stands, none of the three seem actually opposed to the idea of a workable solution. Personally, I have other issues with the film – i.e., the children of Alex’s friends appear to be ill-mannered and spoiled. I’ll just leave that at that. All that said, Finch is wonderful to watch – especially in the way he does his best to maintain his dignity and reserve…not always succeeding at either but always willing to keep trying.